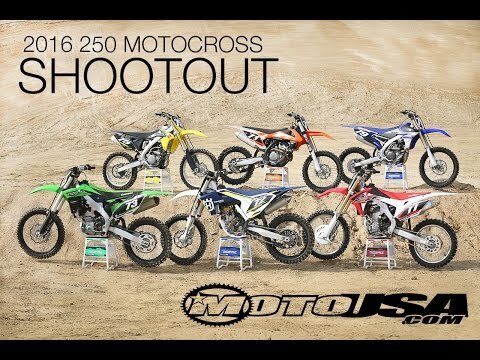 4ddd’s 2016 450 Motocross Shootout features seven bikes from six manufacturers. See how the 450 MX class sorts itself out in this 450 Motocross shootout. Honda has revealed images of the Grom Scrambler concepts it will display during the 2015 Tokyo Motor Show. 4ddd takes a First Ride on the 2016 Honda CRF250R, which received changes aimed at increasing horsepower and improving handling. Honda has released additional details on the 2016 CRF1000L Africa Twin, which will be available to customers early next year. The 2016 Honda CRF450R didn’t receive much in the way of change, but the revisions for 2016 focus on handling and overall balance. Read 4ddd’s first impression. 4ddd’s 2016 250 Motocross Shootout features six machines from six different manufacturers all vying for supremacy in the 250 MX class. The 2013 Honda CRF250X is the only Japanese 250cc enduro dirt bike available in the United States for 2014. How does it compare to the race-bred machines? Trail to trial, adventure to competition-ready machines, Honda has a dirt bike for any off-road endeavor. The popular CRF selection is headlined by the CRF450R, utilized by top motocross and supercross riders throughout the world. Dual sport riders can opt for the XR650L or more nimble CRF250L. Youngsters can start their two-wheeled journey on the CRF50F and stick with Big-Red up to the trail-demolishing CRF450X. The reintroduced Africa Twin is based on Honda's latest Dakar Rally machine and promises to give the competition a run for its money in the Adventure Touring segment. Honda Motorcycle History.